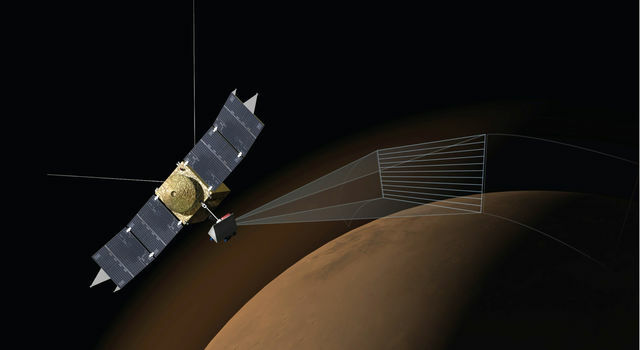 This movie begins with an animation (artist's rendering) of NASA's Mars Reconnaissance Orbiter spacecraft above Mars. The scene zooms into an "X-ray" view of the spacecraft, revealing the High Resolution Imaging Science Experiment (HiRISE) camera. The movie then transitions to a sequence of HiRISE images of the comet taken as it flew past Mars. The images were obtained by HiRISE between October 17 and 20, 2014. For more information on these images and future updates, see http://hirise.lpl.arizona.edu.